Website: Aside from the camouflage background, it doesn't have any graphics or stylization, making it look pretty much just like every other ComicPress site out there. However, unlike with other WordPress-based webcomics I've seen, the navigation links are above the page, meaning that readers have to scroll down to read the comic, and then scroll back up to the top to continue. Having to scroll twice quickly became tedious for me when I was reading through several chapters in one sitting. There are some other screwy issues with the site that I found irritating. One of them is that some of the pages, such as this one, are inexplicably on the comic's mobile layout, which has a white background and puts the navigation links at the bottom. Switching back and forth between layouts like that was always confusing and jarring. Another problem is that some of the newer pages didn't have "Next" buttons on them, and, in order to read them, I ended up going to the latest page, clicking "Previous" several times, and then using my browser's "Back" button. Fortunately, the links were fixed by the time I finished writing this review, although the page posted on August 22 (four days ago) still doesn't have a "Next" button. The archives also need work, as clicking on the calendar goes to a page with one or more "No Thumbnail or Featured Image Found" messages, and the chapter dropdown's jumbled, showing Chapters 5, 4, 3, 2, 1, 6, 7, in that order. The bonus features are pretty good, though, with photos of the comic's real-life locations being the best part. The FAQ page is also particularly relevant, with a description of the creator's experience in the military and some commentary on the comic's politics. 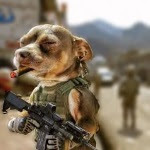 Writing: BOHICA Blues tries to present the Iraq War in a humorous way that's "family-friendly" and "isn’t grinding any political axes," focusing on irritations like mosquito bites, running out of certain flavors of ice cream, and unhygienic toilets. ("BOHICA" stands for "Bend Over, Here It Comes Again.") In addition, it subverts traditional war stories by offering an actionless, undramatic account that revolves around soldiers being bored at their military base. While it's a novel concept, it isn't at all clear from reading the comic that a sanitized, silly version of war can be appealing or interesting. Whether readers are anti-war, pro-war, or ambivalent, the Iraq War is, as the creator calls it, "a political hot potato," and he states that he's "not interested in staking out a political position." This attitude, however, leads to an uncomfortably benign, "hanging out with the guys" version of war that makes no mention of deaths or injuries, conveys no sense of danger, and hardly ever involves a combat situation. The inclusion of goofy, South Park-style caricatures of Osama bin Laden (1, 2, 3) and Saddam Hussein (1, 2) as the main enemies that appear in the comic make it even more difficult to take the war seriously. But the most awkward gags are those involving apparently deadly situations, including a page where a soldier's vehicle explodes, sending the soldier flying into the sky. The cartoonish gags and lighthearted portrayal of warfare might be the creator's idea of "family-friendly" material, but I find them to be a distasteful presentation of a conflict that has resulted in massive amounts of casualties. It'd be one thing if the comic was trying to be edgy and satirical, but showing war as being funny without placing it in a cultural or political context is just mindless and trashy. I would've liked the comic better if it was more openly anti- or pro-war, as the creator's strained attempt at writing apolitical politics is devoid of cleverness. The flawed concept would be more tolerable if there were interesting characters or a story to follow, but the comic instead goes for generic soldiers in a gag-a-day format. Joe is technically the main character, as the comic follows his journey from training camp to Iraq, but it'd be a struggle for me to try to describe him as anything more than just "normal." I guess he's supposed to be an "average Joe," which is an underwhelming idea, but most of the other characters are "average Joes" as well, making the comic bland and tedious. The lone exceptions to this are the bodybuilding Purdue and the assertive Ransom, but these minor characters don't appear in the comic nearly enough considering that they're the only ones with any notable degree of characterization. There are also a lot of characters to keep track of, which is more difficult than normal since everyone wears the same outfit and has the same personality. Adding backstories and quirks for the characters would make readers feel more invested and would give the scenes some much-needed complexity. As far as the humor goes, the comic relies heavily on pop culture references, visual gags, and other non-jokes. Some of the references are particularly bad since they're based on when the war started, meaning that they're already dated by ten years. And while the comic's "family-friendly," I don't think this is the kind of material that would impress children, as they'd be more attracted to action and colorful visuals than this comic's lame Star Wars gags. Art: The comic features bland, generic-looking characters with unshaded coloring, and there's been no improvement at all ten months after its launch. And on top of this major flaw, the creator only makes minimal use of body language and facial expressions, which are normally cornerstones of humor comics. Add factors such as homogenous clothing, minimalistic locations (e.g., the desert in Iraq), rampant copy-pasting, and uncreative perspectives, and the comic ends up being boring and tedious to look at. This approach seems to at least partly be a realistic reflection of the boredom experienced by the soldiers, but the creator still has a responsibility to present the situation in a way that's entertaining to potential readers. Going through the chapters, I found myself impatiently estimating how much of the comic was left as I browsed through page after page of copy-pasted, expressionless soldiers. Some of the pages do have facial expressions, but they look awkward, as if the creator didn't quite get the faces right but didn't have time to redraw them. Interestingly, I found the occasional non-sequitor throwaway characters to be much more stylistic and visually engaging. For example, in Chapter 3, a panel with a cartoonish, disproportionate soldier from "another country" is one of the best illustrations in the comic. Similarly, this panel in Chapter 4 has a goofy-looking hillbilly, which is also one of the best drawings. The various anthropomorphic and civilian one-shot characters that appear throughout the comic also have more personality and are more stylistic than the soldiers, making it appear as if more thought went into their designs than those of the main characters. As such, if I had a choice, I'd rather read about these non-characters, as their designs make them stand out and seem entertaining. The best part of the artwork's the numerous military vehicles that appear throughout the story (1, 2, 3), as they're all accurately and carefully drawn from references. They look great, and the creator's clearly comfortable drawing them from a variety of angles. However, the detailed, realistic style of the vehicles looks out of place in a gag-a-day comic with simplistic figures. The use of background characters, environmental details, and perspective does help, though, make the art more visually stimulating, and the comic's successful at making the military setting seem believable and realistic. Overall: BOHICA Blues is a stupid webcomic made by a creator who half-asses his drawings, lacks a sense of humor, and provides site navigation that's counterintuitive and unreliable. It has a niche appeal to veterans, but that's only because it shows soldiers in a flattering, sympathetic light. Above all, though, the comic's biggest flaw is its static nature, as while the illustrations are blatantly amateurish, the creator continues to draw repetitive, copy-pasted pages with no indication of an initiative to challenge himself and improve. While I'd prefer to be able to offer some form of encouragement, I'm unconvinced that the creator cares enough about the quality of his work for it to matter. This is actually very useful, and points out some of the things I've been wondering about. I admit I am not skilled in designing websites at all and really need help arranging things. The navigation bars were, at one time, at both top and bottom but I did away with them because I thought the bottom one was redundant-- that's what I get for doing my own thinking. Working with the art on the computer is something I am also new at, and I have found a comfortable "pattern" that, unfortunately, reveals itself as a pattern. This is my first foray into computer art of any sort, and I think I've carved out an (unfortunately) comfortable middle ground of effort that I admit is unchallenged. Backgrounds are problematic and the sad truth is, the colors were drab, the backgrounds drab and unchanging, and little contrast. That is the nature of military uniformity and a country with little topographic relief (at least in the area I was in). As for the bland and apolitical, washed-out nature of the war, I have to agree. I have recently gone back and re-read a lot of my stuff and realize that it needs to pick a side and quit being so timid. Doonesbury, Junkwafel, Good Morning Vietnam and MASH were unafraid to pick sides and they didn't suffer for it. All in all, thanks for the straightforward look at BOHICA Blues. You raise some issues I've been wondering about for some time so I think I'll re-examine some of my immediate plans and consider "adjusting fire". Yeah, I mean, this comic has a long way to go before it's really enjoyable, but even just adding shading, fixing the site navigation, and toning down the pop culture stuff probably would've been enough to get BOHICA Blues up to at least a 3/5. The art could be a major strength for the comic if it had more creativity and detail. As for the politics, it mainly just feels tone-confused at the moment, and it's hard to get a sense if I should be taking it seriously or not. South Park, for example, which I compared the comic to in the review, always seems clear that it's supposed to be an adult-oriented, edgy satire. I think it generally wouldn't really take that much more effort to improve the comic significantly, which is partly why I reviewed it as negatively as I did. You also say there is no art improvement in almost 10 months. Awesome. There are a ton of webcomics out there with low-quality art and no color at all (something the author at least try to put on his pages). Ever heard about the Knights of the Dinner Table? A freaking success with no art level nor colours. At all. For me, humor comes first (something you seem to lack a little) because, honestly, we are not all so gifted as others but we can tell our own jokes/stories all the same. And people like him/her are doing it with an effort much greater than yours. Sitting on a chair and typing a few bad reviews with no sense at all is no effort at all. And allow me to tell you something, you self-proclaimed 'webcomic police' (it says that on your page at least): If you want to be a good reviewer, at least try to offer some actual 'constructive' critiques. Saying only "this is good or this is bad because of reason A or B" only gives us your personal opinion on the matter. A good reviewer includes comparisons, more in-depth opinions and focuses more in the actual purpose of the material he/she reviews. In this case, humor and art. The main problem for you it seems that the comic background is based around the war on Irak and despite the military-centered characters, there´s almost no actual war at all. SURPRISE! You don´t have people dying or exploding into bloody pieces in humoristic comics. Even if they are military-themed, as many of WW2 humor-style comics show us. Clearly the author tries to put the reader in amore modern set than the already saturated WW2 timeline. How many modern wars are common-knowledge for the general public in the developed countries? Oh, yes... one. Now, to put an end to my growing rant, I´ll advice you to watch the Escapist Podcast reviews of some comics and Marvel movies. If you want to become a good reviewer, there is a fine example to follow over there. Because honestly, I´ve never heard of your reviews before this day. Most of your comment isn't worth taking the time to respond to. As for the lack of action, I wrote that it would limit the comic's appeal to younger readers, which appears to be one of the creator's target audiences. Otherwise, I described it as "a novel concept" that, unfortunately, was carried out in an incompetent manner. "this is good or this is bad because of reason A or B"
That looks like a pretty good way to do reviews IMHO. As I explained in "Idealism and Pragmatism" and "Entities and Nonentities," there are multiple valid approaches to reviewing. So, it's underwhelming when someone treats a particular approach as being the correct and only way to write reviews.